Impress your guests with this centerpiece. 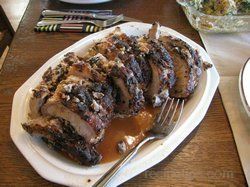 This pork loin is full of flavor both inside and out. Your kitchen will smell delicious as this cooks. Don't forget to serve the pan juices with it. 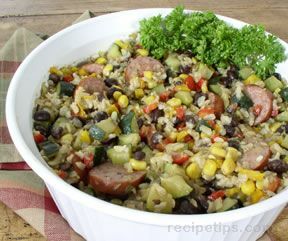 The colorful medley of ingredients in this stovetop casserole create a delicious blend of complementary flavors. 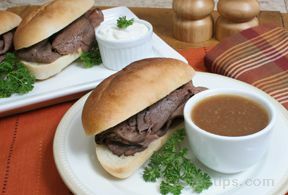 This unbeatable classic American sandwich, named for the French bread it is prepared with, can be served au jus (French for “with juice”) or with a creamy homemade horseradish sauce. 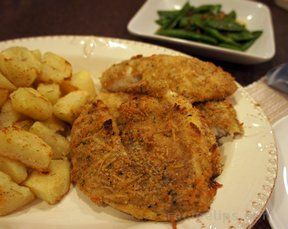 Healthy, mouth-watering chicken dish. Serve for company or for your family, it's sure to be a hit. With the first bite of this unique tuna sandwich, you will agree that it is one of the best sandwich recipes you've ever tasted. 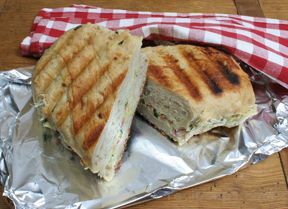 It is full of flavor with its mixture of radishes, pickles, and mayonnaise; along with cucumbers, carrots, parsley, onions and Swiss cheese, housed between Panini slices and served warm from the grill. 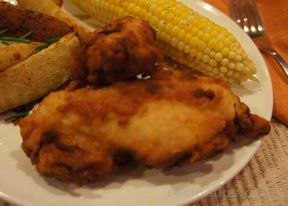 Buttermilk fried chicken strips at their finest. Crisp and seasoned with oregano and paprika, you'll no longer need to go out to get your favorite chicken strips.